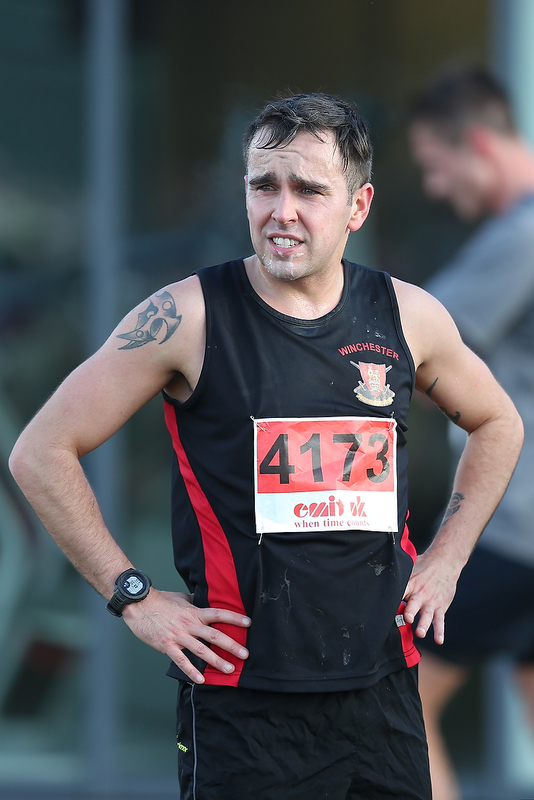 We were invited by British Army Athletics to cover 2 of their cross country events the first of which was the Championship Race, held at Gibraltar Barracks, Minley. Whilst processing the images sent through by Lee Crabb of Scrumpix Images I had time to play with with how composition can change the feel of an image and also give it different uses. 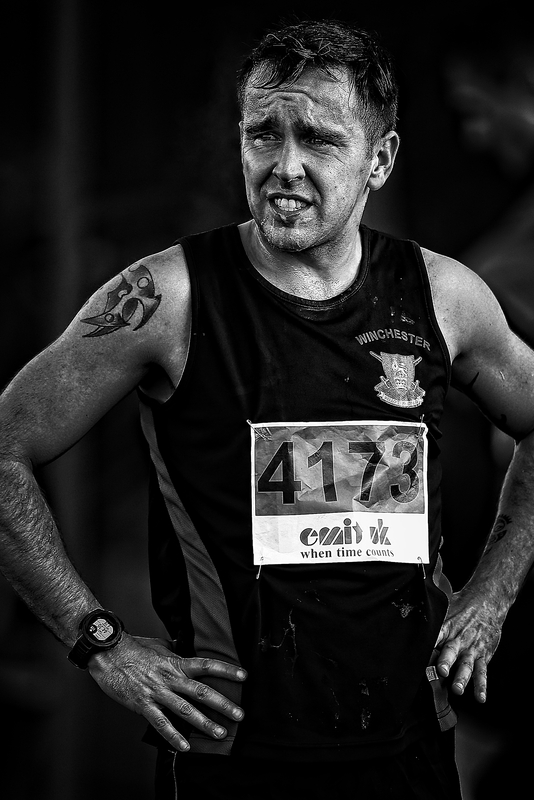 To the left is the original image which I re-processed with a black and white template I have created and which I often use for off road runners. 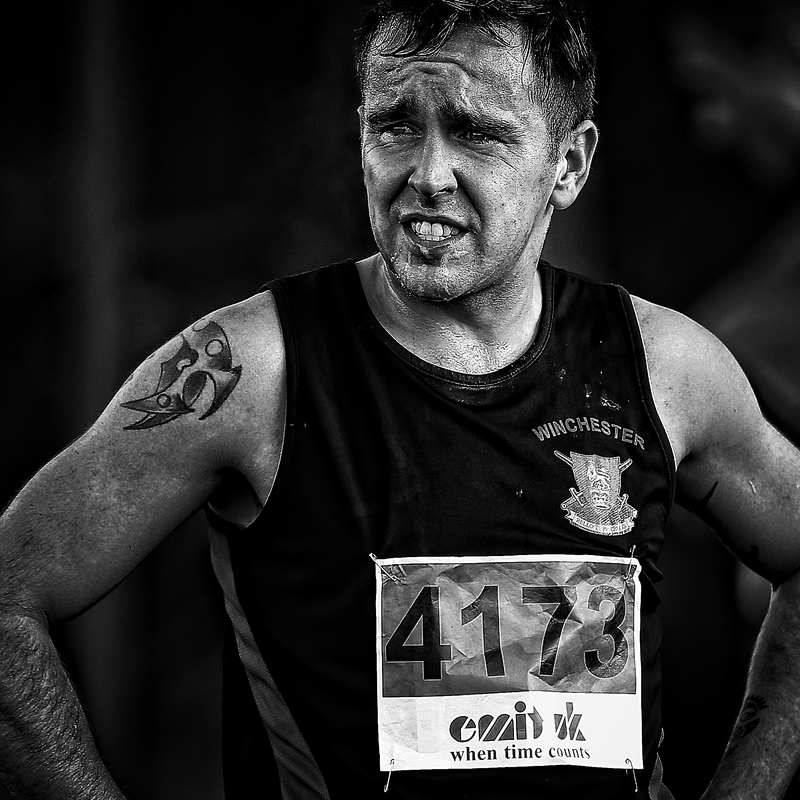 The portrait may not be to everyone's taste but those of you who run competitively know that at times the exertion of the sport can show, albeit in a less than flattering manner, on the face. This created the image below and from this a simple square crop produced the top image - as I wished a 1 x 1 format to put out on social media. Though the 1 x 1 works and has it's own feel I was disappointed that I had to crop off the hands from the original, as I felt they were a key part of the original composition from Lee. 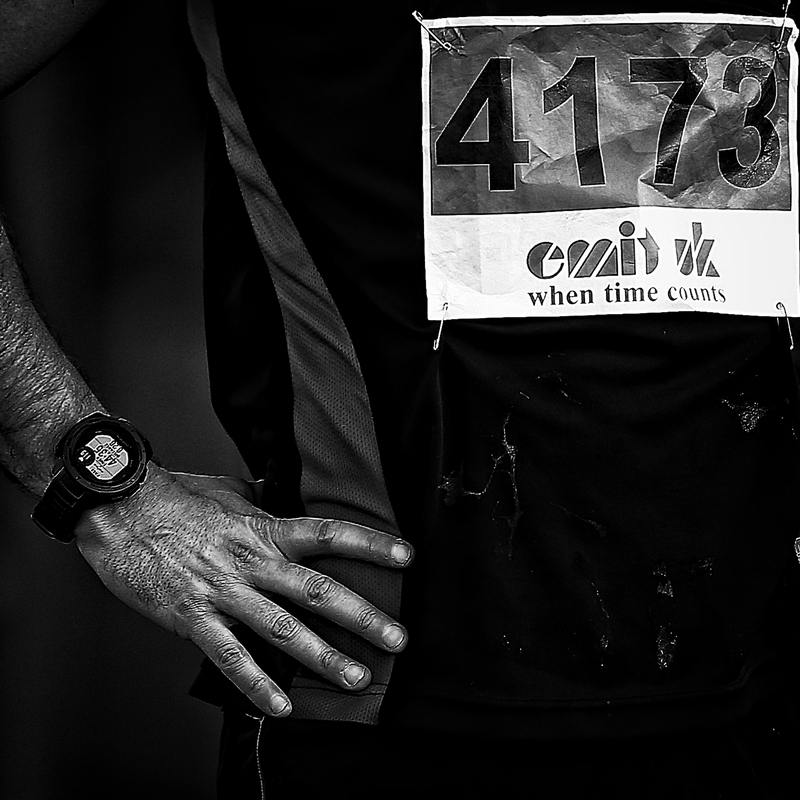 Whilst focusing onthe hands I noticed that the advertising strap line on the race number was 'When Time Counts' which lent itself to the final image of one of the runner's hands, his watch and his race number with the message 'When Time Counts'. The full gallery of images can be view by clicking here. The official website of British Army Athletics can by accessed by clicking here.